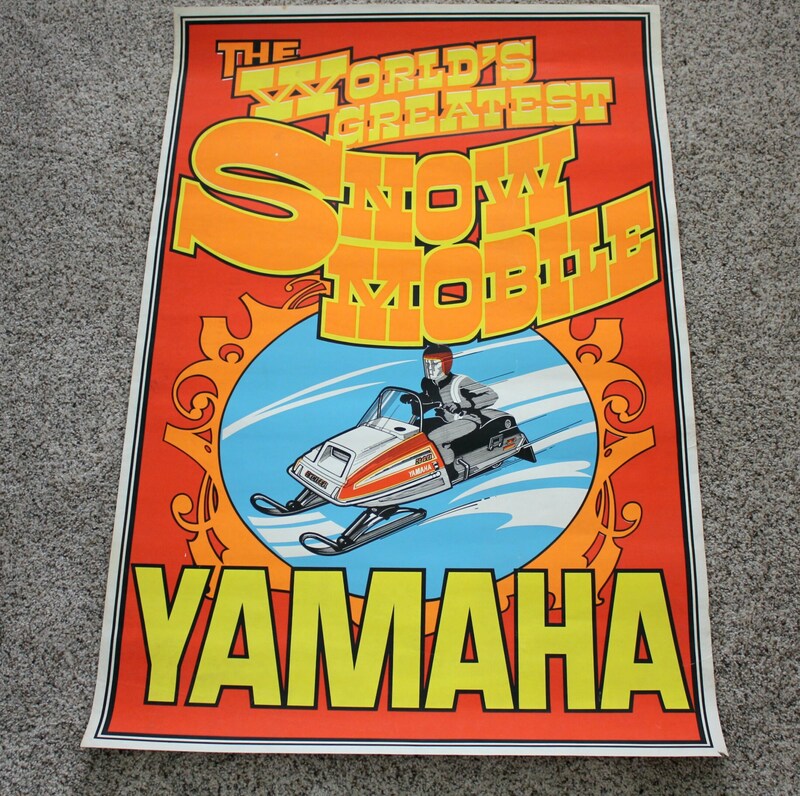 A nice 1970s era vintage Yamaha dealership poster for the Yamaha 340 Exciter Snowmobile. 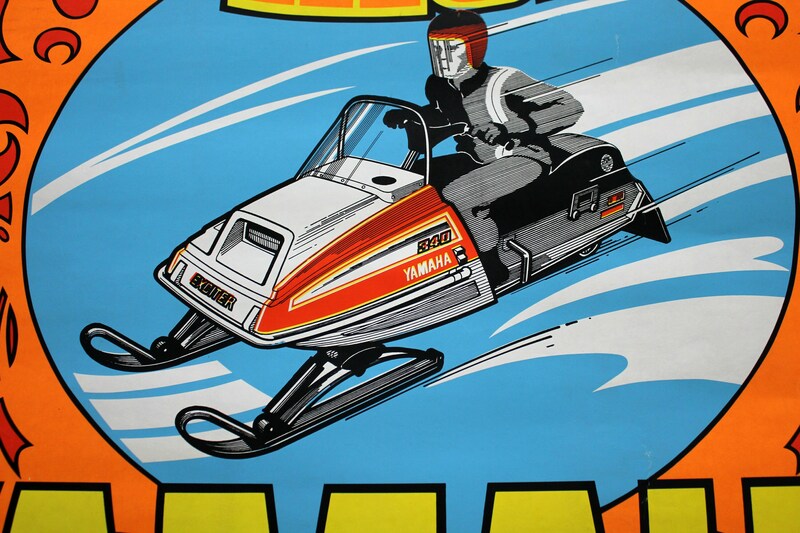 Slogan states The World's Greatest Snowmobile - Yamaha. It measures 26 7/8" x 40 3/8" tall. 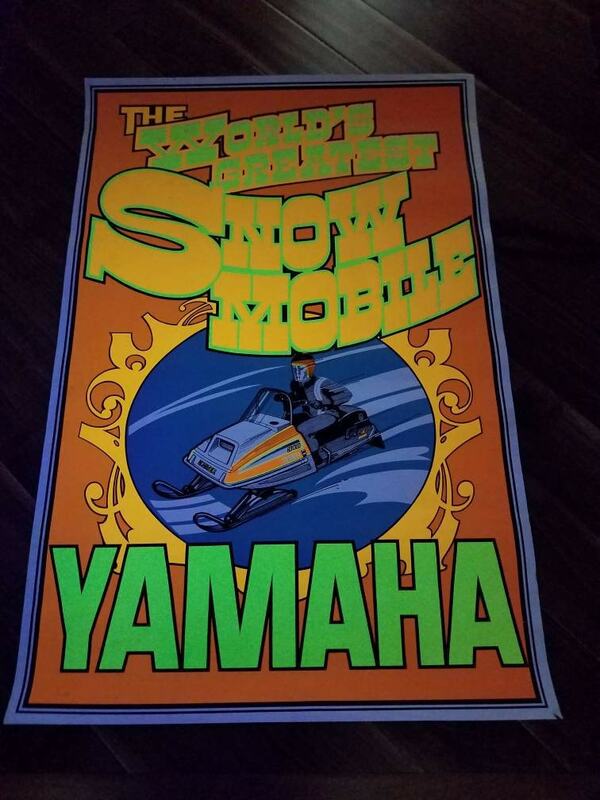 The first photo shows the poster under black light. 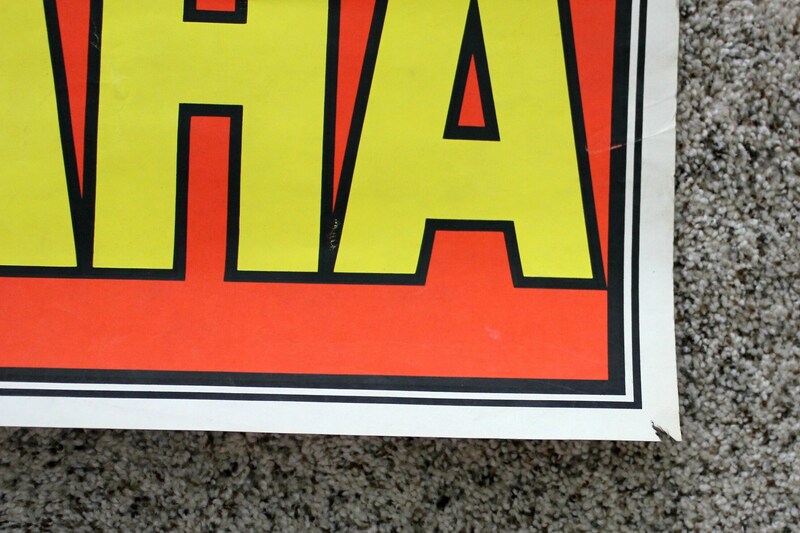 Poster is in nice shape but does have a tack holes in the corners, a tear in the lower right corner, as well as a couple white spots and some soiling. 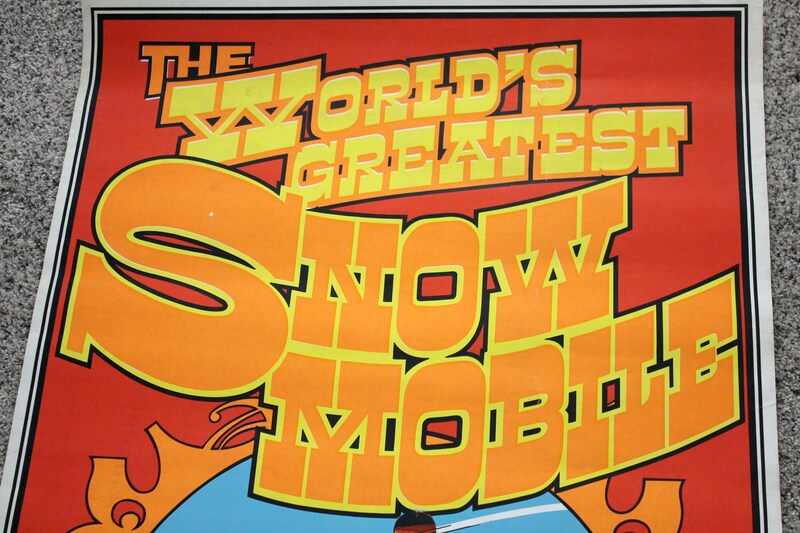 Please look at the last photo carefully as it shows the worst soiled areas. 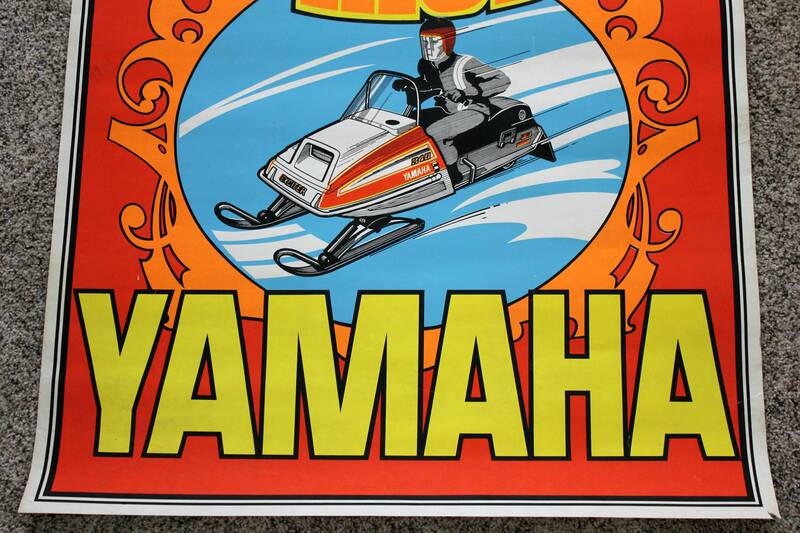 Check my shop for more Yamaha items.